The Pontiac brand debuted in 1926 and was laid to rest in 2010. For most of those years it presented itself as GM's "performance" line, offering powerful highway cruiders such as the Tempest, Bonneville, Grand Am and LeMans. In 1960's, Pontiac began building serious "Muscle" cars, including the Firebird and the legendary GTO. Occasionally, the Pontiac designers stumbled, most notably with the Fiero (an underpowered experiment with mid-engine design) and the Aztec (whose styling was met with tepid response from the market). Here at A1 Transmission Service Center, we've been rebuilding Pontiac transmissions since 1965. Whether you're driving a beloved classic from the 60's or one of the company's more recent offings, we are never surprised by what's under the hood. There's no replacement for experience and we have all the tools needed to get the job done right and bring your Pontiac's transmission up to factory specs. 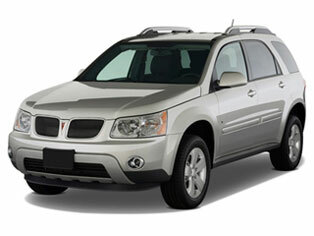 No matter which Pontiac you drive, bring your transmission challenge to us. We'll diagnose the problem and get it fixed at a price your wallet will love!